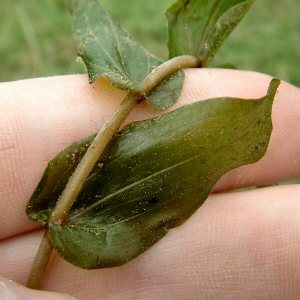 This is one of the commonest pondweeds, rather robust, with the leaf bases perfoliate (wrapped around the stem). 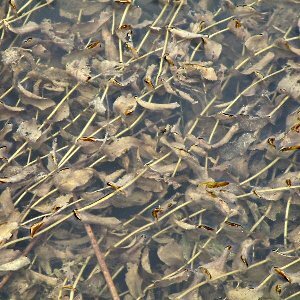 All the leaves are under water; there are no floating leaves as in some other common Potamogeton species. 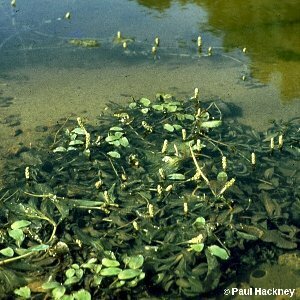 It is common in lakes, ditches and slow rivers and streams, and is tolerant of quite a wide range of nutrient status. 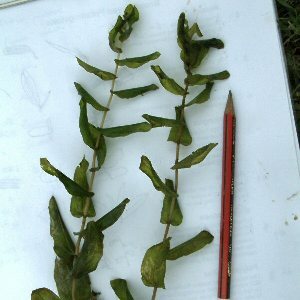 All names: Potamogeton perfoliatus L.